We first came across Chris Agnew's work in a group show at Nancy Victor gallery where we were impressed by his surreal M.C. Escher-esque finely detailed drawings. But the thought of his work populating a solo show had us unsure as to whether it could scale up and be diverse enough to fill an entire gallery. Thankfully those fears were unwarranted as Agnew's work has come on leaps and bounds and this exhibition shows us a new direction. 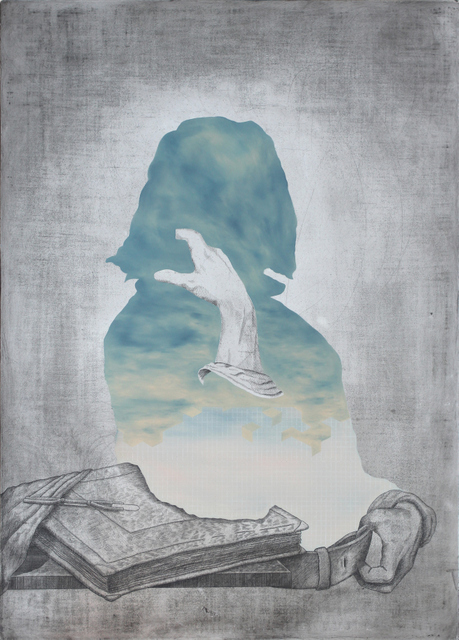 It opens with a man who is mostly an outline with only hands and feet visible, and his body replaced with a serene view of clouds floating by. This theme of giving prominence to nature over the man-made continues throughout the exhibition culminating in a vast painting of an interior where chairs are tipped over and windows smashed to reveal a rolling landscape. Hands continue to take prominence in Agnew's work and they hint at the purity of the creative process. 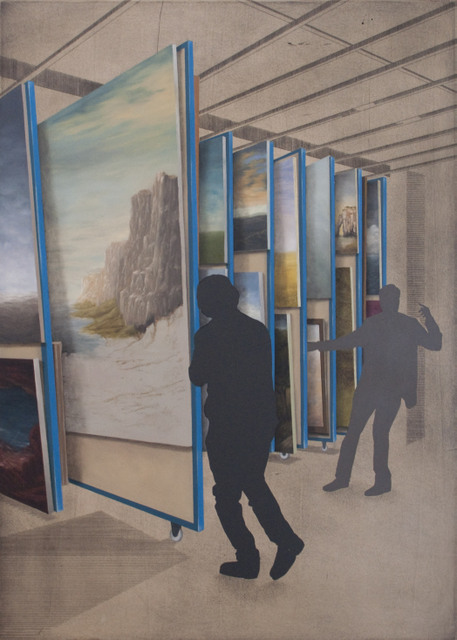 This is furthered in another work where individuals are browsing through artworks but they have been silhouetted out, suggesting they are of secondary importance to the art itself. 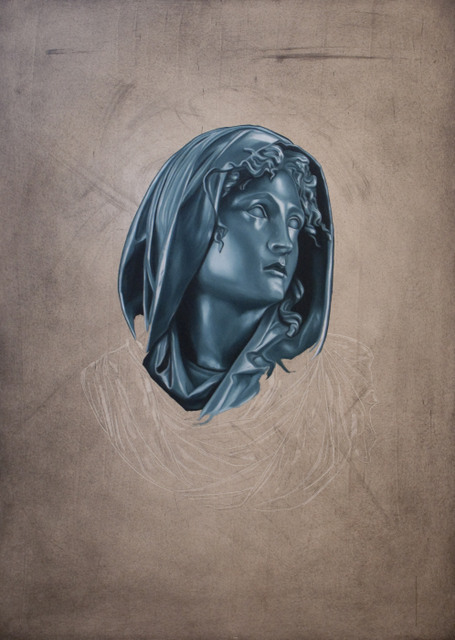 The use of oil paints contrasting with pencil drawing provides an extra level of depth to his works, none more so when classical busts seem to pop out of his works as the pencil lines behind them fade away. This is a multi-layered exhibition striking a great balance of influences between classical and contemporary art, a theme that continues to take greater prominence in today's emerging art scene. 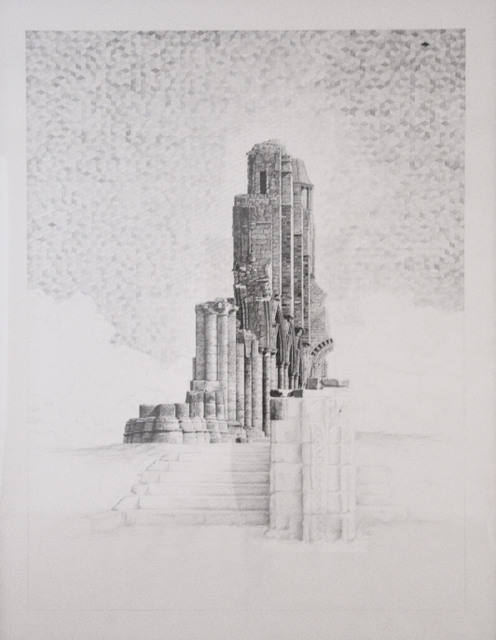 It is always interesting to observe the evolution of a young artist's work as they carve out their own niche and this exhibition is a perfect example of Agnew's progression and a sign of other interesting artworks to come. 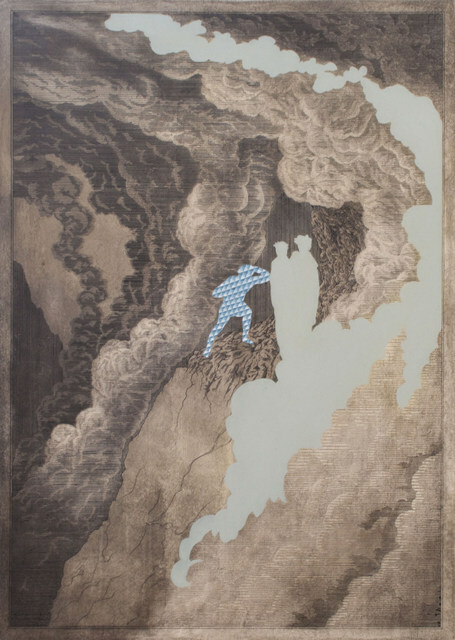 Chris Agnew: The Mighty Grip of Fate is on at Kristin Hjellegjerde - ArtEco Gallery, 533 Old York Road, SW18 1TG until 9 February. Entrance is free.